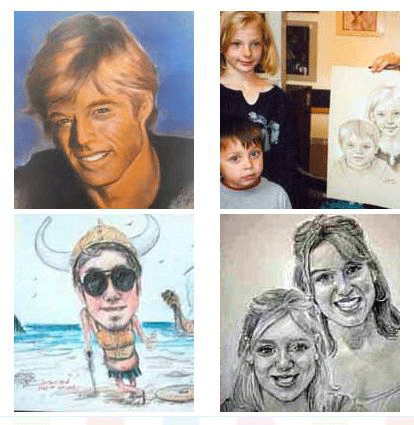 David Poole of Oregon Coast Portraits has been proudly sketching both kids and adults with expertise since 1986, capturing the essence of the person or persons whom he is sketching. 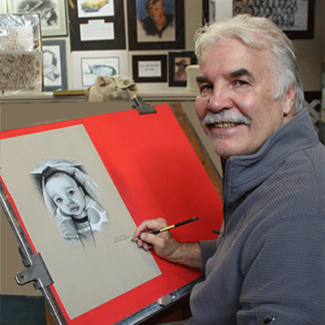 Now with a brand new framing department, David offers custom framing services to the public, as well as matting and framing for the customers he sketches. Come let us create a serious or funny masterpiece of you, family or friends, either in a live sitting or from photographs. Then take home your nicely framed masterpiece or have us ship it to you.